If you want to host your site on a dedicated server, HostNine has this base covered with three competitively priced packages. The first option comes with 1TB HDD (RAID 1) disk or 128 GB SSD, 4 cores, 8 GB of RAM, 500 GB bandwidth, and 4 IPs. For these features, you will only pay $109.99 per month for monthly billing and $99.99 per month for yearly billing. For individuals and enterprises that require more bandwidth, HostNine offers a package that comes with 1 TB HDD (RAID 1) disk or 128 GB SSD, 8 cores, 16 GB RAM, 1,000 GB bandwidth, and 8 IPs for only $129.99 for month-to-month billing and $109.99 per month for annual billing. If your site receives heavy traffic, go for the third package that comes with 1 TB HDD (RAID 1) disk or 128 GB SSD, 2 (×12) cores, 32 GB RAM, 2,000 GB bandwidth, and 16 IPs for $199.99 per month for month billing or $179.99 per month for yearly billing. Standard features across all packages include cPanel/WHM, Softaculous installer, KSPLICE, free migration assistance, weekly data backups, ClamAV antivirus, and SSD caching. For businesses that offer cloud-based services/solutions, HostNine has competitively priced packages compared to other players in the same space. For a cloud-hosting package with one core, 15 GB disk, 1 GB RAM, 1,000 GB bandwidth, and 2 IPs, HostNine will charge you $14.99 per month for monthly billing and $13.99 per month for annual billing. You can upgrade to a package with two cores, 25 GB disk, 2 GB RAM, 1,500 GB bandwidth, and 2 IPs for $24.99 monthly for month-to-month billing and $21.99 per month for annual billing. Additionally, HostNine has three other packages that range from two to three cores, 50 to 150 GB disk space, 4-16 GB RAM, and 2,000 to 5,000 GB bandwidth. Annual charges for the latter packages range from $420 to $720, but you can enjoy huge discounts if you opt for the annual billing option. In comparison, companies such as RackSpace, Liquid Web, and similar hosts charge from anywhere from $870 -$1,000 annually for cloud hosting services that in most cases are inferior to those offered by HostNine feature wise. You can start you own business by purchasing and reselling any of HostNine’s four reseller plans: 19 to 999 GB storage space, 500 to 5,000 GB bandwidth, 19 to 499 resold account, and Reseller Central TM. Prices range from $14.99 to $69.99 per month if billed monthly and $13.99 to $49.99 per month for yearly billing. If you do not have a domain name for your website, you can use HostNine’s domain registration and transfer service to get one. Prices vary depending on the Top Level Domain (TLD) you would like to use. Nevertheless, prices range from $15 to $45 regardless of the TLD you choose. In addition, you can perform multi-domain or multi-year registration using a user-friendly domain dashboard. HostNine has a well-staffed support center that is available round-the-clock, seven days a week. The aim of this US-based team is to deliver a response to any client within minutes. To get in touch with them, you can send an email, use live chat, call via phone, or create a “trouble ticket” and submit it to the helpdesk. You can also follow HostNine on Twitter and Facebook. If you are a web developer/designer or an IT savvy person constantly bugged by friends to help them set up sites, you can sign up to become an affiliate and earn $50 per customer referred to HostNine. HostNine is a web hosting company that prides itself in having world-class infrastructure, a dedicated team and a wide range of feature-rich solutions. This means clients can expect minimal or no disruptions running their sites on secure servers that have redundant networks, fail-over protection and RAID-50 protected arrays. Although A2 is not the cheapest hosting service available, it is certainly among the most affordable. This company also offers an impressive array of hosting plans, making it possible for all private consumers and companies to find options that fit their needs and their budgets. This A2 Hosting review will take an in-depth look at this company and the services and features it supplies. When just getting started with A-2 Hosting, many consumers discover that this business is unlike most other hosting providers in that it doesn’t upsell service additions that will enhance its basic packages. In fact, this is a sentiment that is frequently seen in the typical A2 Hosting review. With many other providers, these additional features can end up in the virtual shopping cart and may be overlooked when checking out. If shoppers aren’t prudent, they can wind up spending a lot of unnecessary cash on service additions that they neither want or need. Another advantage of working with A2 Hosting is the fact that they offer a number of free service features that usually cost money elsewhere. These include impressive security tools, SSH and backup tools. Thus, while their upfront costs may not be the lowest, they do provide great overall value while still charging very reasonable rates. No A2 Hosting review would be complete without a comprehensive list of the different hosting plans that are available. This company offers WordPress, web, managed VPS, cloud and dedicated hosting. There are even many flexible levels of each of these service types. Each plan comes with a risk-free guarantee, a 99.9% uptime guarantee, extremely fast SSDs and a Guru/Help crew that is available 24 hours per day, every day of the week and all throughout the year. There are even affordable packages available for those interested in reseller hosting. 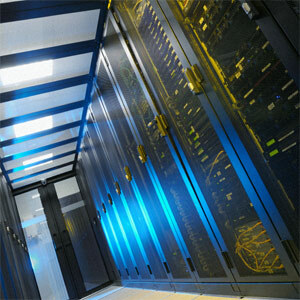 A2 Hosting has three data centers and subscribers can take their pick from any one of these. There is an A2 Hosting data center in Amsterdam, one in Iceland and another in Missouri. This company owns all of its web servers exclusively and thus, there is a high level of accountability and the ability to identify and resolve problems quickly. 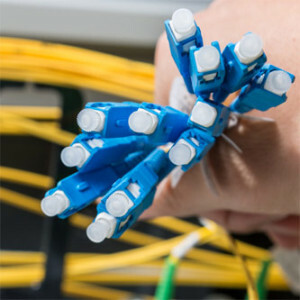 This is one large reason why this provider is known for delivering on its 99.9% uptime guarantee. There is a redundant network, a redundant power supply and optimal data center security. Each data center is SSAE 16 Certified and impeccably well-maintained. There is the added benefit of being able to get SSD or solid state driving hosting for a very nominal, additional cost. This can improve performance by as much as 300%. When tested by PrestaShop, the initial page load time for this service was just 1.9 seconds. It is important to note that A2 Hosting is exceedingly comfortable about the services they supply. They make all of their data concerning uptime public so that anyone can check their ability to live up to their uptime promise. In-depth reports concerning A2 Hosting servers are readily available on their website. A2 Hosting uses cPanel for its control panel, which is popular and very intuitive and user-friendly. Softaculous is available inside of the panel that allows users to install content management systems such as WordPress and other scripts with just several clicks. Thus, subscribers don’t have to be technical wizards in order to take maximum advantage of this hosting service. This also means that whether you have a massive online operation or a relatively small one, getting your site live and active won’t take a lot of time. A2 Hosting also has a special tool that makes it possible to build a comprehensive site without extensive coding skills. It is an easy-to-use tool that will help you have an attractive and functional site up within mere minutes. This is true even for those who lack coding and design experience. With well-maintained data centers, a wealth of service options and competitively priced hosting plans, A2 Hosting is well-worth considering. This company is able to deliver on its uptime guarantee and provides an array of impressive features absolutely free. 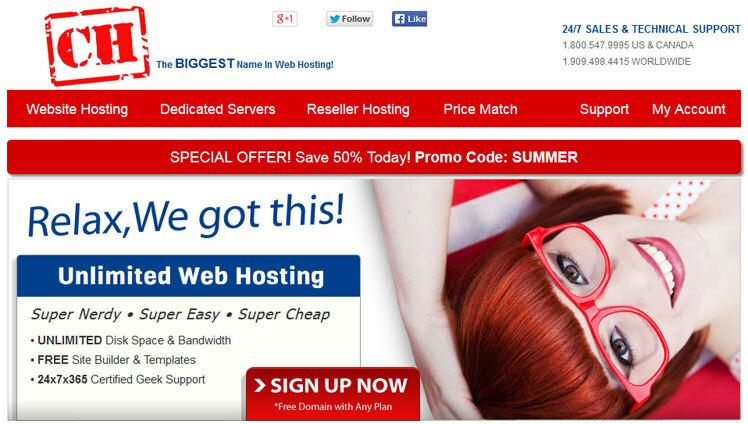 Best of all, A2 Hosting regularly offers a number of special discounts to new subscribers. Every webhost has something for the masses and this firm is no exception. Its basic shared hosting plan is the ideal solution for people who are thinking of creating their own personal site. Small businesses can also make use of it to gain more exposure for their brand without having to reach too deep into their pockets. Like most packages in this category, customers can look forward to unlimited storage, bandwidth, websites, and email accounts. It is far from being the cheapest in the industry but going for long-term contracts can substantially reduce spending. Monthly plans go for $11.98 per month while biennial plans go for half the price at only $5.99 per month. This can be considered as an upgrade from the HostRocket basic plan discussed above. Accounts are hosted using advanced servers with SSD technology for storage. These have better speed, reliability and efficiency compared to regular disk drives. Avail of the biennial contracts to save on costs. The SSD Premium package comes with 5 GB storage and 200 GB bandwidth for $9.98/month. SSD Professional bumps things up a notch to 20 GB storage and 300 GB bandwidth for $13.98/month. SSD Executive provides 40 GB storage and 400 GB bandwidth for $18.98/month. All of these come with one free domain name and RAID configuration. HostRocket is also proud of its virtual private server hosting services provided by its sister company DotBlock. This VPS hosting package is being offered to resellers who would like to use the company’s popular platform to launch their own hosting business. Being hosted on the cloud provides customers with the ability to quickly scale up if they need more resources and always be confident that their data is protected. Packages start at just $9.95 which comes with one block. Customers get one processor core, 1GB RAM, 20 GB SSD storage, and 500 GB bandwidth. There is an optional cPanel license available at $14.95 for simplified account management. The biggest companies require massive resources for its sites due to the anticipated traffic and the need to guarantee quality service to its followers. Businesses that need the best cannot settle for anything less than dedicated hosting. HostRocket currently offers four different types of server that are known for their performance and reliability. The cheapest is the 16GB Intel E5-2620 which goes for $119/month. This comes with 12 visible cores and 16GB of memory. The most advanced is the 32GB Dual Intel E5-2620 at $169/month. It comes with 24 visible cores and 32GB of memory. All of their dedicated hosting packages have 15TB bandwidth, 100Mbit uplink speed, and free RAID 1. There are dozens of web hosts out there, and not all of them advertise on television. Some of the larger hosts seem satisfied to exist only on the internet, allowing users to find them when they need a bit of extra help achieving their online aspirations. If you are looking to build a website and have it hosted, one of the first places you will run into is Certified Hosting. This popular platform has many users, but it is still a wise idea to see if it has all of the qualities that a smart consumer should look for in a website. Certified Hosting is one of the largest hosts on the internet, providing a variety of services for both individuals and businesses. The company’s main business is hosting, so it is fairly simple to see why it tends to provide those tools that are most popular among the web-savvy set. There are several hosting plans available, including plans from as a little as around four dollars a month to dedicated server plans that cost around one hundred and forty dollars a month. The pricing structure is relatively common in the hosting world, though the company does provide a price match guarantee against its competitors. If there is a single term that sums up the positives about the hosting company, it must be ease of use. With lifetime domain name registration, an on-site site builder, and a variety of tools that are useful for building both e-commerce and personal websites, there’s certainly nothing stopping a dedicated site builder from creating exactly what he or she wants. The pricing is also slightly below the industry average for its most basic packages, with the price match guarantee allowing users to know that they will always spend the least when using these services. Aside from the pricing structures, most users do praise the quick service provided by the tech support team as well as the hosting site’s general ease of use for even novice web designers and their teams. One of the commonly cited issues with the company is the tech support. While many users have said that the company is quick to respond, many have also said that the support team isn’t particularly skilled. This doesn’t seem to be a problem for the bulk of users, but support issues can be a major detraction from a host’s usefulness if one is running a business website. More pressing are claims of hidden costs within the billing structure, something that is widely reported upon but only seems to impact those who have very popular or resource-intensive websites. The hosting company is one of the lesser-known hosting providers, but it does hold a special place within its industry. While far from perfect, it does provide users with a variety of tools to use and the chance to build sites exactly as they would like them. It is always good to look at the various hosting packages offered by the site and to figure out if it can suit your needs through one of its less-advertised programs. This is a company worth using, but you should go into the process expecting to ask questions.